Located in Cary, NC and dreamed up by Dan and Diana Saklad, Whisk is the Triangle’s favorite store for cooks, foodies, chefs and gadget lovers.  We’re local, family owned, and staffed by a group of culinary experts. Whether you are a casual home cook or a professional chef, you’ll find quality cookware and tools at Whisk to enhance your cooking and entertaining experience.